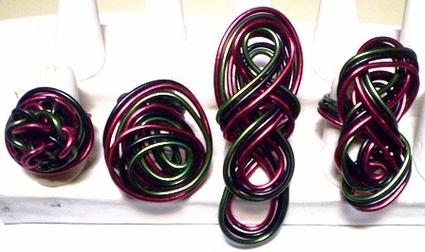 Roots Black African American colors of Red Black Green, wire sculptured adjustable Rings for women. Made of lightweight, non-tarnishing, brilliant color wire. Handmade one-of-a-kind creations by Nekhena Evans for New Bein'.